Paddy Power released the ‘Ruby Walsh' themed scratch card to celebrate the world's greatest jockey. Now you have the chance to ride a winner at PP. For those who don't know, Ruby Walsh is the one of the world's top national hunt jockey's. Winner of the Grand National, Cheltenham Gold Cup, Irish Grand National and just about any other race you care to mention. In total Ruby has racked up over 2,000 wins in his long career, and broken 15 bones along the way. So he knows a thing or two about luck and winning. 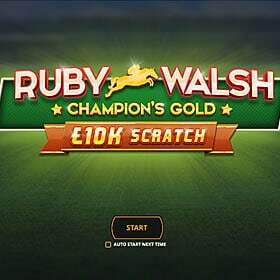 To celebrate his magnificent achievements, Paddy Power has released a ‘Ruby Walsh' themed scratch card which should appeal to racing fans around the world. The scratch card offers punters lots of chances to back a winner. Each card is separated into five areas. 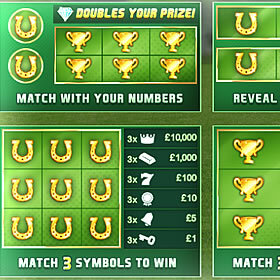 The aim of the game in the first panel is to match your number with those in the payout pane. The second game asks you to scratch off the lucky horseshoes to reveal various symbols. Match 3 to claim the prize. The third game requires some bookmakers skills, add up two numbers and if they make 7, you've won. The fourth panel is covered with little ‘Gold Cups' scratch these away to reveal cash amounts. If you match up three – you've backed a winner! The final round is a bonus game which can multiple wins or gives you a free card to play. The gameplay on the Ruby Walsh card is enjoyable and easy to follow. The animation and graphics give the game a quality feel. Paddy Power report that the card has a 91.93% RTP (return to player), which means this card is no ‘long shot' when it comes to winning. Every one in 4.21 cards produces a prize, which is a better success rate than my punts on the Grand National! most players will appreciate this scratchcard offering from Paddy Power. 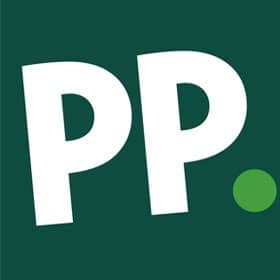 Paddy Power is a great place to play scratch cards online. The site has a number of fantastic cards to choose from. 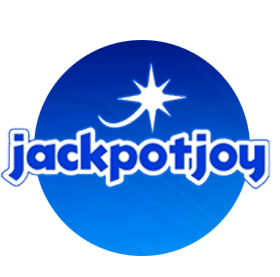 Jackpot cards such as 25K give players the opportunity to risk modest sums for big prizes. New players at PP can claim a welcome bonus which is detailed below.